Your life doesn’t have to fall short of your dreams. You can build the life you’re proud to live. 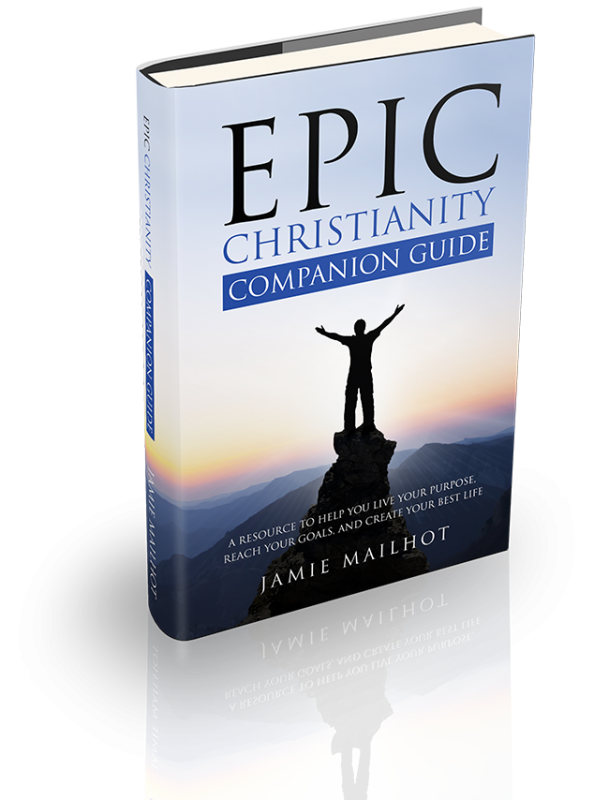 Sign up to my email list below and get the Epic Christianity Printable Companion Guide FREE! 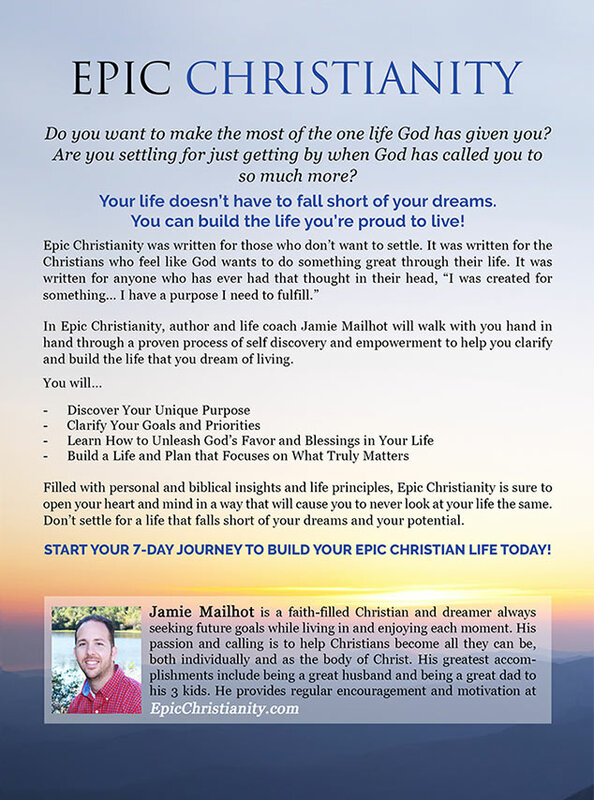 I’m Jamie, a faith-filled Christian and dreamer always seeking future goals while living in and enjoying each moment. 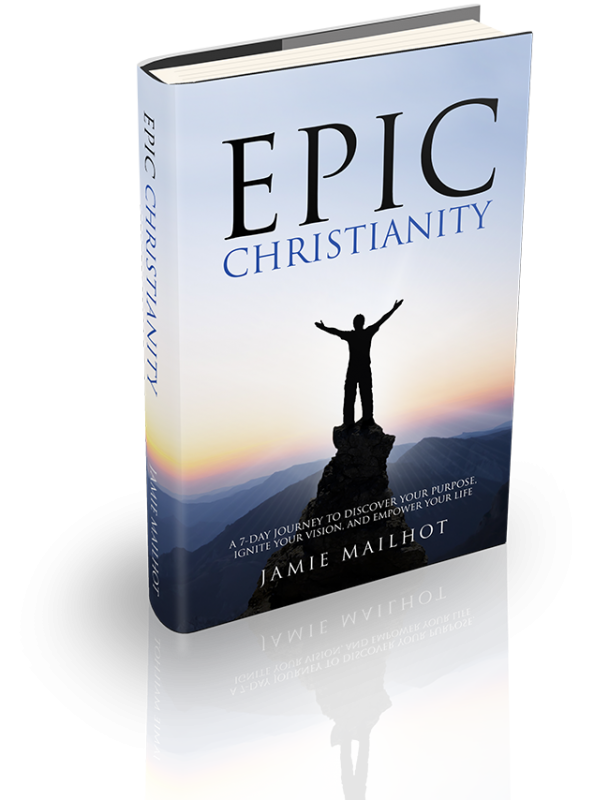 My passion and calling is to help Christians become all they can be, both individually and as the body of Christ. 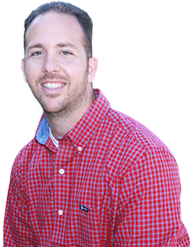 My greatest accomplishments include never giving up on my purpose and goals, building strong and healthy relationships with my wife and 3 kids, and organizing and developing the process found within Epic Christianity. 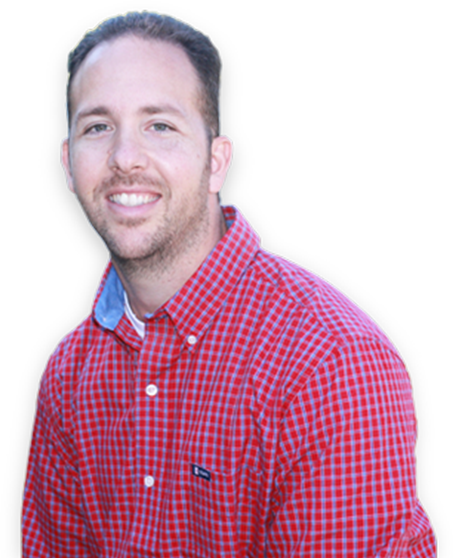 I have spent over a decade studying personal growth and success and over two decades as a growing Christian. 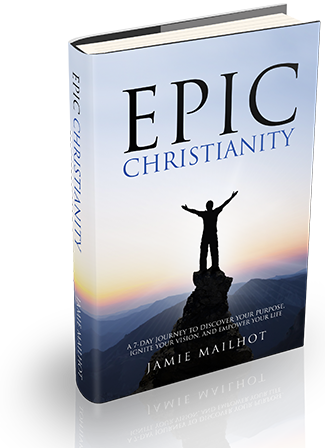 My goal was to write a book that combines the greatest principles of personal growth and success with the most important principles of Christianity found within the Bible. I wanted it to not just teach and inspire, but to also be a blueprint to empower the reader to move forward with the information, the actions, and the plans needed to succeed. Then make it simple enough for anyone to read and understand. 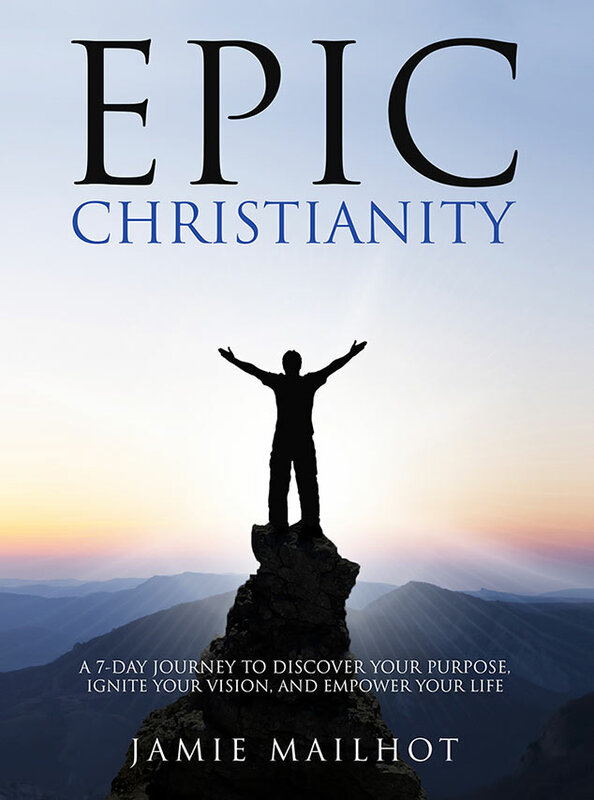 With God’s help, I believe this book has the potential to empower a whole generation of Christians to discover their unique calling and purpose, develop a vision for their life, and create the plans and take the actions needed to make the most of the one life God has given and entrusted each of us to live.